& South East Qld for 40 years. 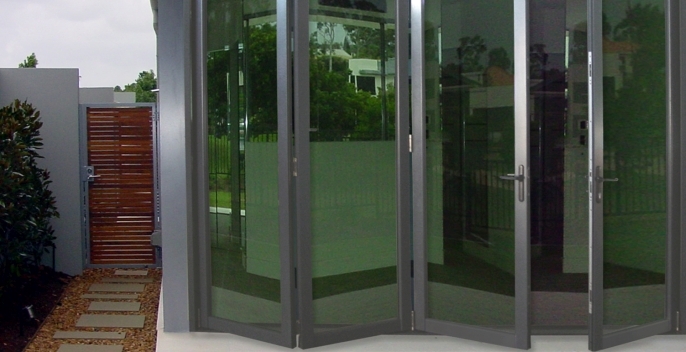 We manufacture the complete range of aluminium doors. 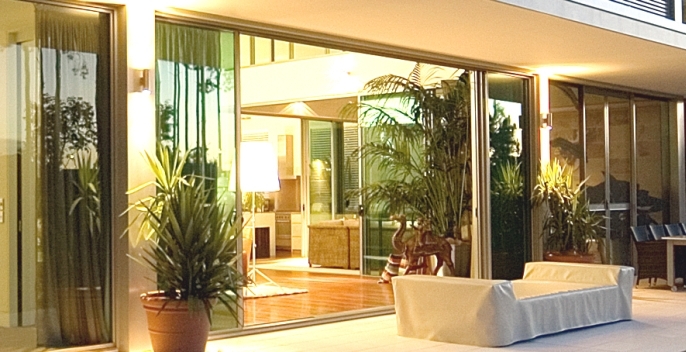 All of our aluminium doors and window products are covered by our 7 year product warranty. 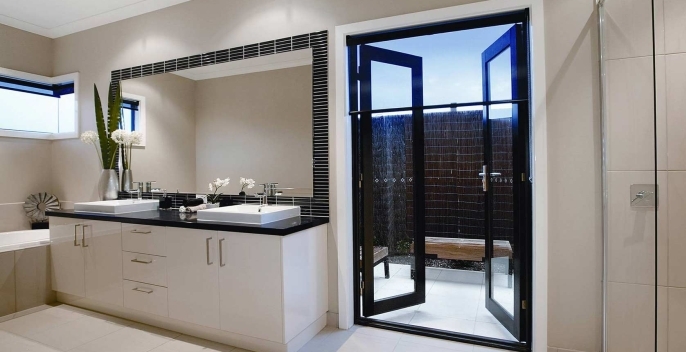 Our comprehensive range of aluminium doors are part of a suite of door and window products that comprise a complete aluminium door and window system, featuring the complete range of aluminium doors, the complete range of aluminium windows, and accompanying fly screen and security screen options. All of our aluminium door and window products can be supplied with fly screens and security screens. 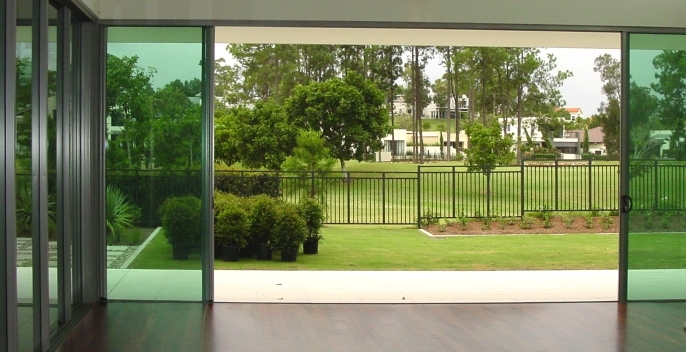 The aluminium sliding door is by far the most popular choice for the home. 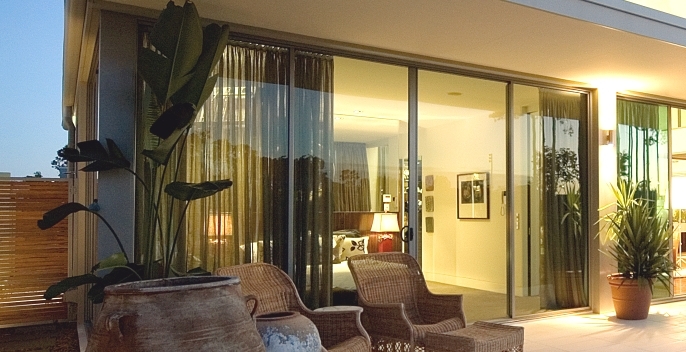 Incorporating a simple design, the aluminium sliding door is excellent value. The 'stacker' door is a multi track sliding door with up to three sliding panels (per sliding direction) on independent tracks. This unique design allows for a greater percentage of the door opening to be fully utilised. French Doors are a traditional style door. French Doors are a pair of hinged doors that traditionally open outwards. The ultimate door for entertainment and making the most use from a door opening, bi-fold door are classy and highly functional. Quote Options - How do I get a quote? Need us to measure & quote? We have an expert in measuring and quoting in each of our service areas. We have 40 years experience. We can meet you at your location to discuss your project. You'll be glad you chose Streamline Windows. We recommend increasing the current size of your browser window or lowering your browser's zoom number (to zoom out - e.g. 80%), so that you see more of the web page layout on your screen. You can call or email right now. We're already in the office to take calls and answer emails. If you need help with a quote or enquiry, you can call or email right now and we'll help you out. Cheers from the team at Streamline Windows! We do take calls after hours! After hours, our office phones are diverted to staff who answer their phones and check their email throughout the afternoon and evening. If you're seeing this message, that means one of our staff is ready to take your call or email enquiry right now. Our staff are answering phone calls and checking their email right across the weekend. Cheers from the team at Streamline Windows - enjoy the weekend!